Out of all of the alphabet pages in this book, this one is hands down my favorite!! How enchanting are these beautiful graceful letters?! If you look closely, you will see that many of them are embellished with tiny birds and you might even find a butterfly or two! I hope you enjoy these two versions of this romantic alphabet! 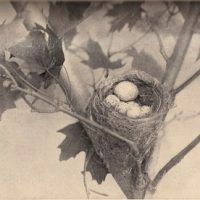 Free Vintage Clip Art – Bird’s Nest Photo Vintage Cigar Sign – Steampunk! 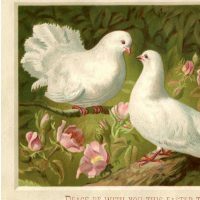 Lovely Vintage Easter Doves Picture! Still take my breath away! I am in awe of your generousity! You have inspired me to give some old pictures I have purchased at flea markets. I need to clean up some of them because they have writing on the photos. I have photoshop 7.0 and I am pretty sure I could remove the lettering by layering, however I haven’t been able to figure it out. I am 62 and some things come slowly to me lol. Very pretty! Would be lovely for a Christmas card! I appreciate your site so much! I have proudly used some of your graphics in my work and I always mention your site when I do. You are so generous to share with us. Thanks Sue Anne! That’s so kind of you!! You are so generous. Thank you for posting these and all of the time you spend helping us. Exquisite alpha. 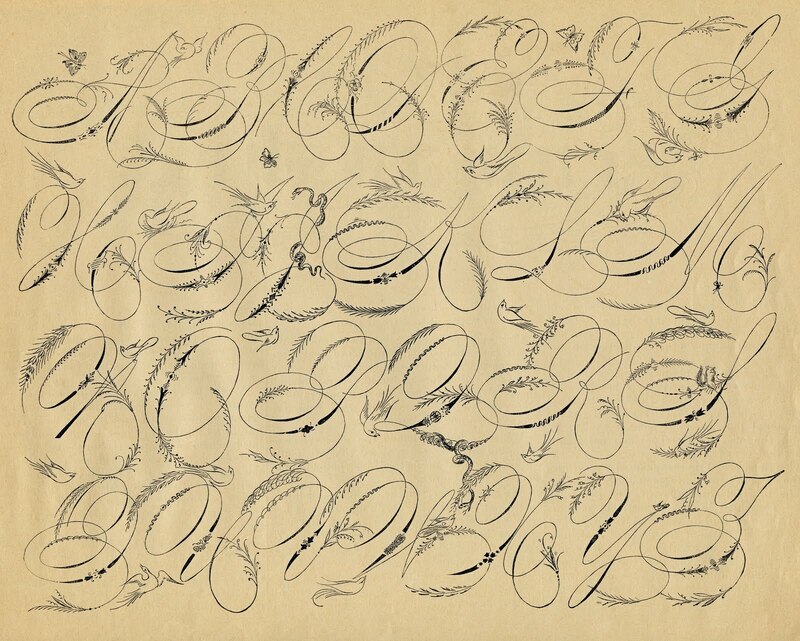 This calligraphy book is an amazing treasure trove. How lucky you are to have found it (and how lucky we are that you share it)! Thanks for all! 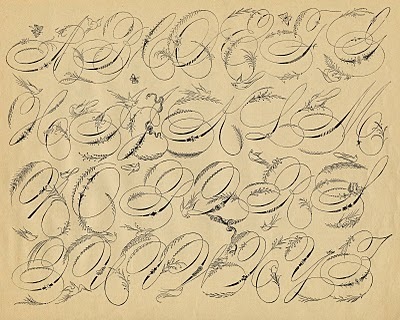 This is a gorgeous Alphabet. It would be neat to mod podge on to some clear bottles to set in the sun!